This is a program offering every Friday evening. It is an opportunity to have a taste of meditation and celebration from the world of Osho and helps to facilitate a powerful journey in the inner. We practice a system of active meditations and therapies that are specially designed for the "modern man" to release their stress and tensions and enter into the silent world of "no mind". If you are a newcomer, you are very welcome to attend. Please rsvp and read the orientation primer. 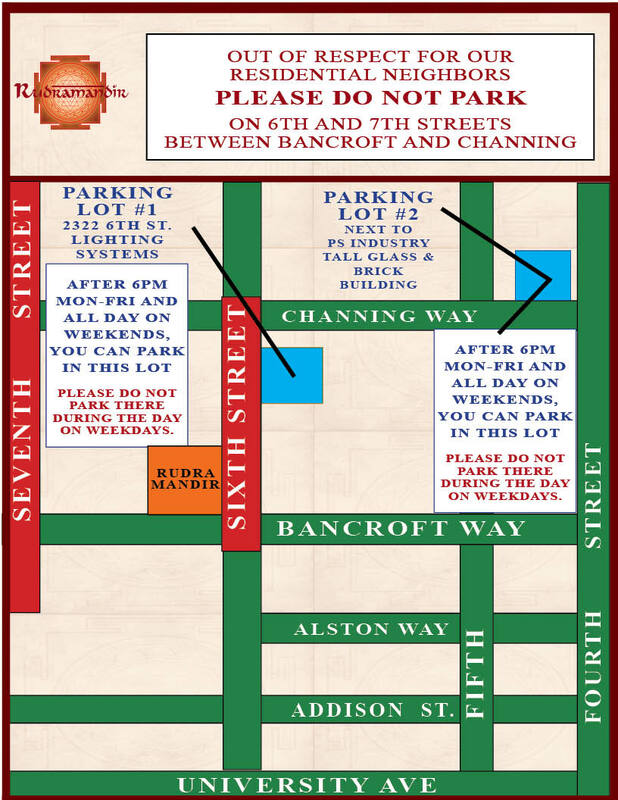 The current location is at Rudramandir, 830 Bancroft Way, Berkeley, CA 94710. Please text us at 510-761-6746 on arrival. ​Beginner Hour: 6:30 pm - 7:00 pm every Friday, by RSVP appointment. The location is Stanford West Clubhouse, 700 Clark WayPalo Alto, CA 94304 . Swami Prem Dhan is an experienced meditation practitioner and is happy to talk one-to-one over the phone, via Skype, or in-person to help you with your personal practice, life questions, stress management, and any kind of emotional concerns you might be having. He has worked with several people in the past to refocus their life goals, create better balance, and deepen their practice. 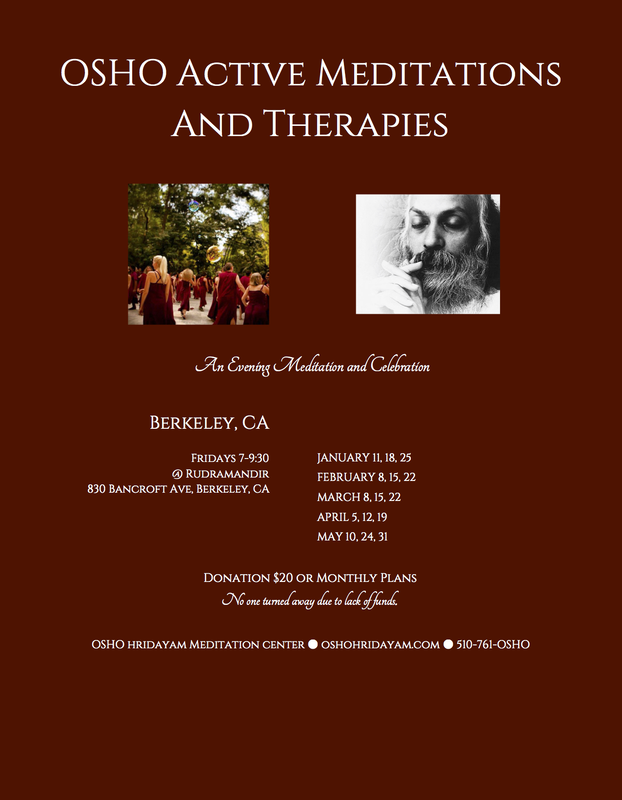 If you would like to set up a time, you can call 510-761-6746 or email osho.hridayam@gmail.com.